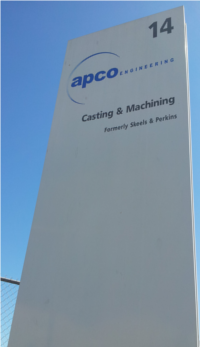 APCO Engineering is a modern progressive engineering company specialising in Casting and Machining. We have been servicing the Marine and industrial sectors for over 30 years supplying customers both nationally and internationally. APCO Engineering uses the latest technology and management practices to provide a high quality efficient service at competitive pricing. We produce cast and machined products in ferrous and non-ferrous metals including cast iron, alloy steel, stainless steel, aluminium and bronze. APCO Engineering remains a small and flexible operation, able to respond quickly to your needs, custom manufacturing items to your specifications, providing a total supply solution from conception through to production. We can assist with design, provide 3D solid modelling, pattern making, casting, machining and assembly for prototyping and production runs.